The free worldwide travel guide that you can edit. 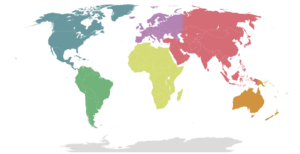 The official, non-commercial sister site of Wikipedia for sightseeing, activities, cuisine and accommodation around the world. Got a specific question? Ask it at the tourist office. Welcome to Wikivoyage The free worldwide travel guide that you can edit. The official, non-commercial sister site of Wikipedia for sightseeing, activities, cuisine and accommodation around the world; with 29,075 articles in English written by travellers like you. Read about a location near you. Bridging Europe and Asia, Turkey's largest city boasts all the rich history and cosmopolitan culture that you'd expect from the ancient seat of not one but two of the world's great empires. In the sleepy oyster capital of France, walking the seafront and the old town alleys is an enjoyable experience. Join us on a walk through the greener side of Singapore. At the Witches' Market (pictured) in La Paz vendors sell things like llama fetuses and dried frogs for Aymara rituals, as well as soapstone figurines and aphrodisiac formulas. The Alaska Marine Highway provides a connection to many island and island-like communities, including the Alaskan state capital Juneau which is accessible only by boat or plane despite being located on the mainland. Founded in 1416 by a disciple of Tsong Khapa, the Drepung Monastery in Lhasa was the biggest and richest monastery in Tibet and its lamas helped to train each new young Dalai Lama. New to Wikivoyage and have a question? Post it here! This travel guide page was last edited at 23:58, on 21 April 2019 by Wikivoyage user Ground Zero. Based on work by Wikivoyage users AndreCarrotflower, ARR8, ThunderingTyphoons!, SelfieCity, Traveler100, Mx. Granger, Wrh2, Torty3 and Nurg and others.